Authors: Bohm, P., Kastner, A., and Meyer, T.
Reference: J. Sports. Sci. 31(13): 1451-1459, 2013. Summary: Football is the most popular sport worldwide and includes the largest population of sports participants, especially in the field of recreational sport. It remains controversial whether football represents a sport discipline with a particular high risk of sudden cardiac death (SCD). The true incidence of SCD among football players is not known due to a lack of football- specific studies. In particular, recreational football players over an age of 35 years with a predominance of coronary artery disease (CAD) who do not exercise regularly are exposed to a higher risk of SCD. Surprisingly, the few European studies that included football as a sport discipline, showed that CAD already plays an important role in the young athlete. Potential pathophysiological mechanisms in football that may lead to a higher risk of SCD include the high release of catecholamines, increased platelet aggregation, dehydration and electrolyte disturbances. Establishment of sport-specific and national registers for SCD should certainly contribute to a better understanding of this highly important topic. Authors: Faude, O., Schnittker, R., Schulte-Zurhausen, R., Müller, F., and Meyer, T.
Reference: J. Sports. Sci. 31(13): 1441-1450, 2013. Summary: We aimed at comparing the endurance effects of high-intensity interval training (HIIT) with high-volume running training (HVT) during pre-season conditioning in 20 high-level youth football players (15.9 (s 0.8) years). Players either conducted HVT or HIIT during the summer preparation period. During winter preparation they performed the other training programme. Before and after each training period several fitness tests were conducted: multi-stage running test (to assess the individual anaerobic threshold (IAT) and maximal running velocity (Vmax)), vertical jumping height, and straight sprinting. A significant increase from pre- to post-test was observed in IAT velocity (P < 0.001) with a greater increase after HVT (+0.8 km · h-1 vs. +0.5 km · h-1 after HIIT, P = 0.04). Maximal velocity during the incremental exercise test also slightly increased with time (P = 0.09). Forty per cent (HIIT) and 15% (HVT) of all players did not improve IAT beyond baseline variability. The players who did not respond to HIIT were significantly slower during 30 m sprinting than responders (P = 0.02). No further significant differences between responders and non-responders were observed. Jump heights deteriorated significantly after both training periods (P < 0.003). Both training programmes seem to be promising means to improve endurance capacity in high-level youth football players during pre-season conditioning. Authors: Hansen, P.R., Andersen, L.J., Rebelo, A.N., Brito, J., Hornstrup, T., Schmidt, J.F., Jackman, S.R., Mota, J., Rego, C., Oliveira, J., Seabra, A., and Krustrup, P. J. Reference: Sports. Sci. 31(13): 1432-1440, 2013. Authors: Faude, O., Roth, R., Di Giovine, D., Zahner, L., and Donath, L.
Reference: J. Sports. Sci. 31(13): 1460-1467, 2013. Summary: We aimed to analyse the effects of combined strength and power training during the competitive season on physical fitness in high-level amateur football players. Sixteen male players (22.5 (SD 2.5) years, 1.79 (0.05) m, 76.8 (6.1) kg) from one team were randomly assigned to either a strength training (ST, N = 8) or a control (CON, N = 8) group. ST conducted lower extremity resistance exercises combined with plyometrics and/or sprints 2 × 30 min per week for 7 weeks. CON performed technical-tactical training during the same time period. Before and after training several physical fitness para- meters were assessed: one-repetition maximum (1-RM, half squat), isometric peak strength and rate of force development (RFD, leg press), jump height (countermovement, CMJ, drop jump, DJ), sprint times, agility, and intermittent endurance. Large significant test × group interactions were found for 1-RM, CMJ, and DJ reactivity index with increases in CT relative to CON(+11 to 18%). Although not significant (P < 0.20), likely practically relevant effects were observed for isometric peak strength and RFD (+24 to 29%). We found no relevant interaction effects for agility, sprint times, and intermittent endurance. A 7-week in-season combined strength and power training program can improve relevant strength and jump parameters in high-level amateur football players. Authors: Towlson, C., Midgley, A.W., and Lovell, R.
Reference: J. Sports. Sci. 31(13): 1393-1401, 2013. Authors: Jackman, S.R., Scott, S., Randers, M.B., Orntoft, C., Blackwell, J., Zar, A., Helge, E.W., Mohr, M., and Krustrup, P.
Reference: J. Sports. Sci.31(13): 1468-1474, 2013. Summary: We investigated the musculoskeletal health profile of elite female football players (ET) in comparison to untrained (UT) young women subjected to 16 weeks of football training (2 x 1 h per week). DXA scans, blood sampling, sprint testing and Flamingo postural balance testing were carried out for 27 Danish national team players and 28 untrained women, with eight women being tested after training. At baseline total BMD and BMC were 13% (1.305 +/- 0.050 versus 1.159 +/- 0.056 g . cm-2) and 23% (3047 +/- 235 versus 2477 +/- 526 g) higher (P <0.001) and leg BMD and BMC were 24 and 28% higher (P <0.01) in ET than in UT. Resting plasma osteocalcin was 45% higher in ET than in UT (28.8 +/- 10.9 versus 19.9 +/- 9.9 microg . L-1, P <0.05). Total lean body mass was 14% higher (50.4 +/- 3.3 versus 44.3 +/- 4.0 kg) in ET compared with UT, with no difference in total body mass. The number of Flamingo test falls was 56-63% less (P <0.01) and 30 m sprinting speed was 31% faster (P <0.001) in ET than UT. After 16 weeks of football training for UT, lean body mass increased by 1.4 +/- 0.5 kg and the number of left leg falls decreased by 29% (P <0.05). No significant changes occurred in BMD or BMC, but plasma osteocalcin increased (P <0.05) by 37%. In summary, elite women footballers have an impressive musculoskeletal health profile compared with untrained controls, but short-term football training seems to reduce the risk of falls and increase bone formation. Authors: Toering, T., Jordet, G., and Ripegutu, A. Reference: J. Sports. Sci. 31(13): 1412-1420, 2013. 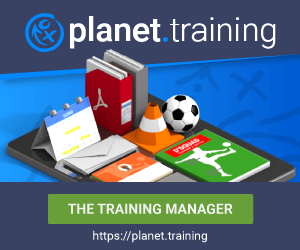 Summary: The present study aimed to develop a football-specific self-report instrument measuring self-regulated learning in the context of daily practice, which can be used to monitor the extent to which players take responsibility for their own learning. Development of the instrument involved six steps: 1. Literature review based on Zimmerman’s (2006) theory of self- regulated learning, 2. Item generation, 3. Item validation, 4. Pilot studies, 5. Exploratory factor analysis (EFA), and 6. Confirmatory factor analysis (CFA). The instrument was tested for reliability and validity among 204 elite youth football players aged 13–16 years (Mage = 14.6; s = 0.60; 123 boys, 81 girls). The EFA indicated that a five-factor model fitted the observed data best (reflection, evaluation, planning, speaking up, and coaching). However, the CFA showed that a three- factor structure including 22 items produced a satisfactory model fit (reflection, evaluation, and planning; non-normed fit index [NNFI] = 0.96, comparative fit index [CFI] = 0.95, root mean square error of approximation [RMSEA] = 0.067). While the self-regulation processes of reflection, evaluation, and planning are strongly related and fit well into one model, other self-regulated learning processes seem to be more individually determined. In conclusion, the questionnaire developed in this study is considered a reliable and valid instrument to measure self-regulated learning among elite football players. Authors: Impellizzeri, F.M., Bizzini, M., Dvorak, J., Pellegrini, B., Schena, F., and Junge, A. Reference: J. Sports. Sci. 31: 1491-1502, 2013. Summary: The aim of this study was to examine the training effects of an injury prevention programme on neuromuscular control, strength and performance in male amateur football players. Eighty-one players were allocated to the "FIFA 11+" (n = 42) or a control group (CON, n = 39). The "FIFA 11+" group performed the programme 3 times a week for 9 weeks; the control group completed the usual warm-up. Primary outcomes were: time-to-stabilisation test and eccentric/concentric flexors strength. Secondary outcomes were: eccentric/concentric extensors strength, star excursion balance test, core-stability test, vertical jump, sprint, and agility. After controlling for covariates, significant between-group differences after the intervention (in favour of the "FIFA 11+" players) were found for time-to-stabilisation (-2.8%, 90% confidence interval [CI] -4.4 to -1.2%) and core-stability (-8.9%, -14.6 to -3.1%). Differences were also found for eccentric (3.8%, 1.4 to 6.2%) and concentric flexors strength (3.2%, 0.6 to 5.9%) at 60 degrees . s(-1) but this difference was only possibly meaningful (62.4%) from a practical point of view. No substantial and/or significant differences were found for the other outcomes. Performing "FIFA 11+" for 9 weeks can improve neuromuscular control. Possible worthwhile differences were found for flexors strength but there were no substantial effects in the other performance measures. Authors: Haugen, T., Tonnessen, E., Hisdal, J., and Seiler, S.
Summary: The overall objective of this review was to investigate the role and development of sprinting speed in soccer. Time motion analyses show that short sprints occur frequently during soccer games. Straight sprinting is the most frequent action prior to goals, both for the scoring and assisting player. Straight line sprinting velocity (both acceleration and maximal sprinting speed), certain agility skills and repeated sprint ability are shown to distinguish groups from different performance levels. Professional players have become faster over time, indicating that sprinting skills are becoming more and more important in modern soccer. In research literature, the majority of soccer related training interventions have provided positive effects on sprinting capabilities, leading to the assumption that all kinds of training can be performed with success. However, most successful intervention studies are time consuming and challenging to incorporate into the overall soccer training program. Even though the principle of specificity is clearly present, several questions remain regarding the optimal training methods within the larger context of the team sport setting. Considering time-efficiency effects, soccer players may benefit more by performing sprint training regimes similar to the progression model used in strength training and by world leading athletics practitioners, compared to the majority of guidelines that traditionally have been presented in research literature.